A new way to indulge your mind and spirit throughout the day, Thann's light yet highly potent balm is designed to accommodate the need of city dwellers or those who need to travel light, with contemporary packaging designed for easy accessibility. 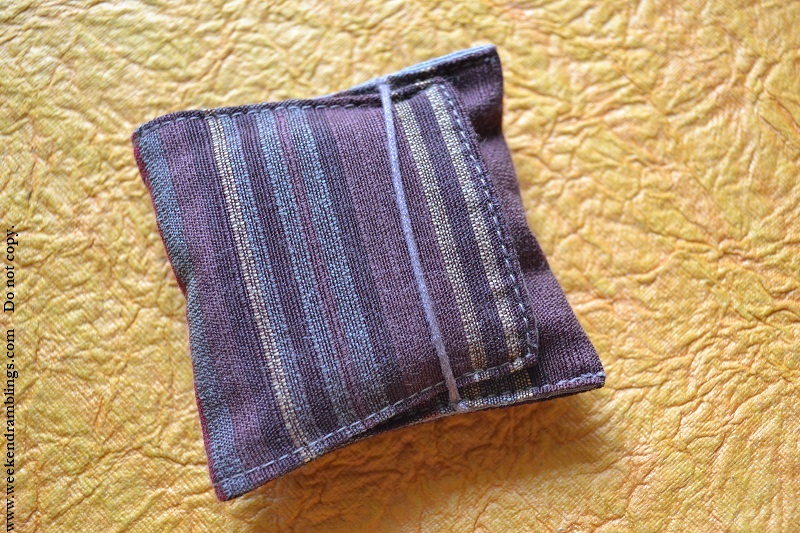 Thann solid perfumes come packaged in a cute small round tin and an adorable pouch to carry it around in. Passion is one of the two solid perfumes available and has notes of jasmine and bergamot. The smell is very rounded, no extra sharp sweetness, and the smell stays the same as it gradually fades over 2-3 hours. 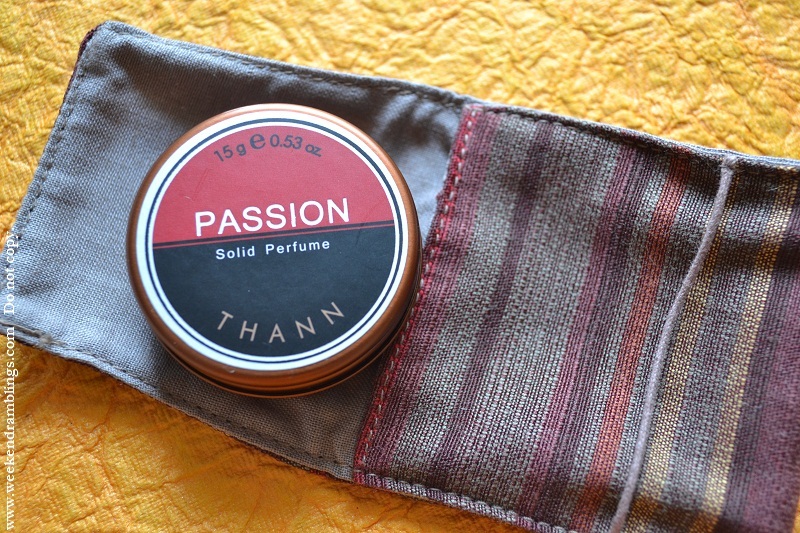 Use: Thann Passion Solid Perfume is designed to be massaged into the temple pulse points (neck, wrist, chest or behind the ears), excellent as fragrant touch-up anytime of the day to keep you feeling fresh and rejuvenated. What I didn't like: The limited availability in India - no online shopping option, either. Thann stores in Bangalore: UB City and Zela, Richmond Road. I know perfumes are a very personal choice, but if you travel a lot, do give this a try - a bit of calm and freshness in the city madness. You forgot L'Occitane solid perfumes??!! this looks so cuteeeee...looks very similar to the lipbalm :D..
..how was lush stick ?? 20 minutes????? Debbbb...you have to have to try Thann ones then..if you see it at some airport or if you come to Bangalore..I loved it from the first time I sniffed it :D I don't know if you will like the smell..I hope you do...but it stays on a while. Heheee..Maha!! Naaah..I think first time I heard of solid perfumes was when I saw one at a Lush store. I love their solids, one 'cos they come in easy to apply tubes and two 'cos they last a good 6 hours on me! 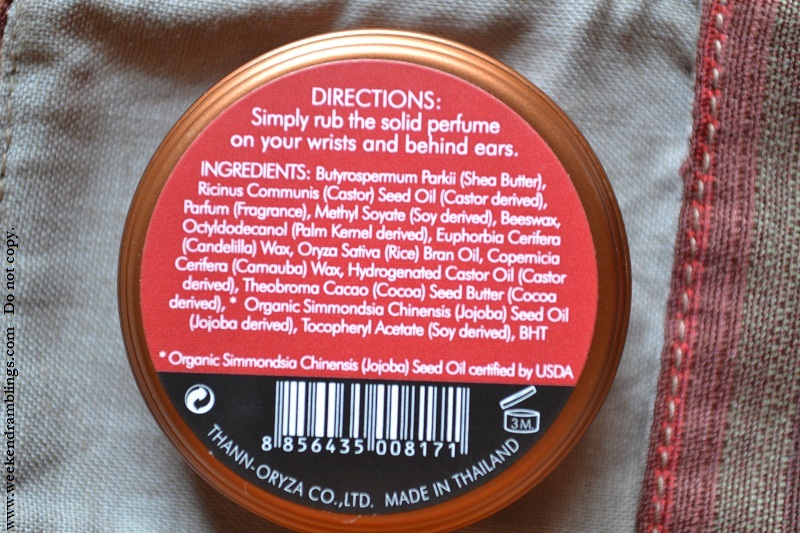 There is also a mind boggling list of fragrance choices here - http://ohwto.blogspot.com/. Oh wowww..never heard of these...6 hours is quite good, isn't it? 6 hours Ki?? that is awesome...I would try something like that, is it available only online?? Only online :) I am really into indie companies so I know all these little ones that aren't so popular in India, but a rage in the us... try googling it, you'll see reviews :) only $4 a tube and lasts ages on the skin! You know the funny part..someone on FB commented "but does she use products from Bodyshop..I don't think so"
I think most ppl have problems with Kaya because of that, Deb. And I don't understand why ppl sign up for packages with them - try out something, if you like only then sign, na!! You don't do anything for the sun damage, Deb - as in, nothing drastic like a peel or anything. Just get a nice nourishing face mask, use your regular sunblock, and let time heal it out. You get some peel-off face mask if you want - I feel skin looks fresher after those. Deb - have you tried besan-tomato or besan-curd face pack? My friend says it works great at getting rid of a tan. Ha Rads I agree, I didnt like i didnt sign that's it...no way ever a pushy person is going to make me buy or do anything, do it if you want...also if you waste money later do not blame on the beautician right?? It didn't pain at all, Deb. I do have sensitive skin, and the upper lip area I had a bit of a burning sensation but they just wiped off the peel from there and it helped. However, this was at the first visit when the peel was left on for a very minimum period..I forgot the exact time...definitely less than 5 minutes. They increase the time period with each setting. I felt my skin looked healthy and liked the result the first time. The other times, though, I didn't like it so much, and my skin dried out quite a bit too. It also burned more. I personally think they should have stuck to the first mild peel for my skin type instead of increasing the duration. I tried the salicylic acid peel - for acne-prone skin. For drier skins the doc recommended lactic acid peel. They have different kinds of peels..I have only tried these two. A bit of burning, especially in the more sensitive areas of face - no pain - burning went off soon as they removed the peel. Rati - I would get it for you if I go near a Thann store some time..
how do we pronounce this word " thann "
Dont you complain!!! Choc pizza ..choc sauce...choc goodness knows what else!!!! 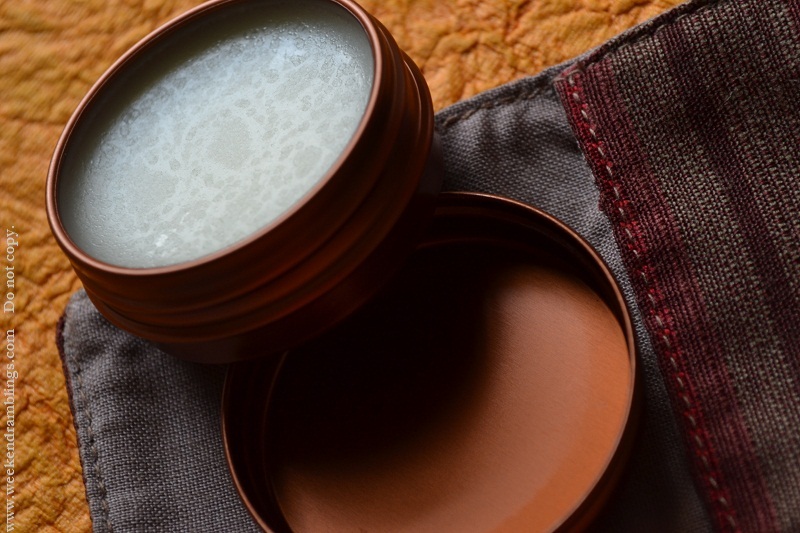 Rads, this solid perfume concept is something new to me, haven't heard about this! i hateeeee youuuuu !!!! me also want bada sa courier now.... i didnt commet on that one cos is purana post naa... but me HATES you ..
and hmmmphhhhh !!! me got hot pink wala also .. pom pom ballerinas ..